I periodically receive emails from Hannah Weiss at Restorers of Zion. I probably haven’t personally emailed Hannah is years, but I’m still on the Restorers’ mailing list. I think my friend Tom keeps in touch with her, and I believe his perspectives on Judaism, the Bible, and Messiah more mirror Hannah’s than my own viewpoint. As I understand it, many modern expressions of Messianic Judaism seek to identify and emulate modern religious and cultural Judaism. I hope I’m not being too presumptuous in saying that Restorers seeks to discover Judaism in the ancient Biblical texts as they were interpreted in the days of Yeshua’s earthly “ministry” and before, rather than as they are understood by modern Rabbinic Judaism in our day. Rosh Ha-Hodashim is arguably the most neglected of the LORD’s “appointed times” for Israel… receiving less attention from the Torah-observant community than even marginal holidays like “Tu B’Shvat” and “Lag B’Omer”. In 2012, RZ set out to investigate what happened to the New Year originally commanded by the LORD. We discovered unexpected treasures: scriptural truth, spiritual wealth, and even buried wisdom from ancient Jewish sages – all connected to this very first commandment given to Israel as a nation. 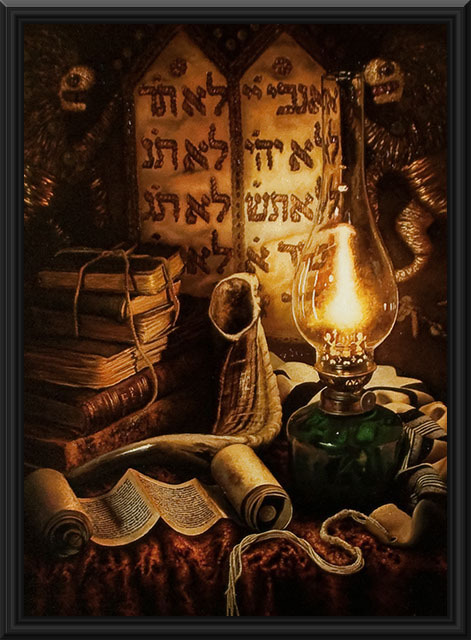 A great deal of the Forgotten Milestone points to Yeshua, which hints that the rabbinic decision in 90 CE to move away from earlier rabbinic custom was conscious and calculated. There are four “new years” spoken of in the Torah, but Rosh Hashanah or the “head of the year” that occurs on Tishrei 1 is the most well-known today. 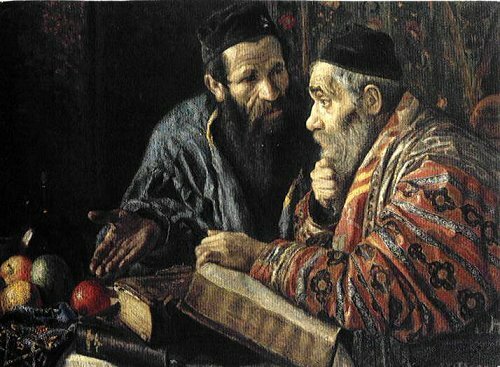 Hannah and Restorers argue that there is a mystery as to why Rosh Ha-Hodashim has been “hidden” since 90 CE. Now I was really curious and followed the link in the email to Restoring the Real “Rosh Hashana”. On that webpage, you can find seven articles in Microsoft Office Word format. They are freely available for download. I downloaded all seven plus their “sources” paper and started reading and taking notes. Is there a mystery behind Rosh Ha-Hodashim, one that points to the resurrected Yeshua as Messiah? Hannah Weiss and the people at Restorers seem to think so. However, from a plain reading of the text of Exodus 12:2, at least in English (Hannah renders the verse in Hebrew and explains problems with how it’s been historically translated), this “new year” is only mentioned in a single verse, and only then to instruct the Children of Israel, being held as slaves in Egypt, in how to prepare the Passover lamb and the related rituals that would allow them to live while all of the firstborn of Egypt would die. What if Rosh Ha-Hodashim is nothing more than to commemorate the escape of the Children of Israel from slavery as well as physical and spiritual death, and their eventual coming together as a nation and receiving the Torah at Sinai? Is there really a “Messianic connection” that’s been hidden for over two-thousand years? Here’s a summary of what I discovered in reviewing the Restorers’ Rosh Ha-Hodashim papers. The seven papers are not only study guides but “meditations” to be pondered over, beginning on Nissan 1 and concluding on Nissan 7 in preparation of Pesach and celebration of the resurrected King. I can only briefly quote from each paper and hopefully, I’ve selected representative portions that make the Restorers’ point, as well as my own, clear. This begs the question, was Yeshua’s symbolic sacrifice meant to bring redemption to Israel before they call on the Lamb of God? What are we to learn from these widely different events occurring on Rosh Ha-Hodashim? What do they all have in common, besides the date itself? We see here new beginnings, historical turning points… but mostly a theme of “cleansing and closure”. The earth emerged freed from an irreversible corruption, a Jewish leader left behind his life of exile, disobedient Jews were made accountable to the Covenant, G-d rewarded a king who had carried out His judgment, and three different sanctuaries were (or will be) made ready for pure worship. While born-again Christians often relate to Redemption as an individual experience that unfolds in private communion with G-d, in Jewish understanding it is a communal experience with world-changing impact. These different views are emphasized by Jewish antagonists to Messianic faith, claiming that an experience of personal Redemption is not a Jewish concept. How closely is that opinion connected to the following, which reflects a more modern Orthodox Jewish interpretation? The special attitude to Tishre and Nissan as two very significant points in the annual cycle, both connected to new beginnings, is voiced in the dispute between R. Eliezer and R. Yehoshua on the date of the Creation. While R. Eliezer’s opinion is that the world was created in Tishre (Bavli, Rosh ha-Shana, 10b), R. Yehoshua claims that Nissan is the first of months (ibid. 11a). For the Maharal, this dispute represents different approaches to the basics of life. He writes that Nissan and Tishre are the main months of the year, but while Nissan expresses the life force and vitality of the year at the emotional level, Tishre expresses the holiness and spirituality of the year at the intellectual level (Sifre ha-Maharal, Hiddushe Aggadot I, 94-97). This neglect leaves the field open for Yeshua’s disciples to construct Messianic traditions and customs, as the Holy Spirit teaches us about Rosh Ha-Hodashim. The potential is greater than we have explored so far, but here we offer a suggested observance as a starting point. You will have to read the first three papers/meditations to get the entire context up to this point, but my question is, how much of Messiah is being read into this holiday by the Restorers of Zion author? Granted, many groups, from the various expressions of Messianic Judaism and Hebrew Roots, to some denominations of normative Christianity see “Jesus in the Passover,” so the symbolism of the Passover seder elements is very familiar to Yeshua-believers, but is there a wider context related to Rosh Ha-Hodashim that we’ve all been missing? The Mishnah describes the first of Nisan as “the new year for kings and festivals” (Rosh Hashana 1:1). The “new year for kings” meant that counting the reign of Israel’s king was always dependent on Nisan. I’m sure you can see where this writer is going in connecting Nissan 1 with King Messiah. In this paper, the coronation of King Solomon (I Kings 1:39-40) is compared not only with Zechariah’s prophesy of the coming of Messiah (Zechariah 14:4) but with Yeshua’s entry into Jerusalem depicted in John 12:12-14 and Mark 11:10. It’s universally accepted today that Akedat Yitzhak, the Binding of Isaac (Genesis 22), is associated with Tishrei 2 (the second day of Rosh Hashanah). This appeared fairly early in rabbinic history, and is supported by its mention in the Talmud (B. Megillah 31a). By the 3rd century, it was being explicitly connected with Yom Ha-Truah, the Feast of Trumpets (B. Rosh Hashanah 16a). However, the original place of the Akedah in the Jewish calendar was Nisan 14, later to be designated by G-d as the day for sacrificing the Pesach. Following is some of the evidence (from “Torah Reading as a Weapon: Rosh Hashanah and the Akedah,” Rabbi Elie Kaunfer, Executive Director, Mechon Hadar). I don’t know how accurate this is as I lack the necessary education and references to verify it, but if true, it is a compelling parallel between the Akedah and the crucifixion of Rav Yeshua. However, this connection isn’t recognized today. In fact, this is the first I’ve ever heard of it. Why? According to Rabbi Kaunfer, the connection of the Akedah and Pesach was deliberately broken after the destruction of the Temple, in an effort to erase its powerful association with Yeshua’s sacrifice. 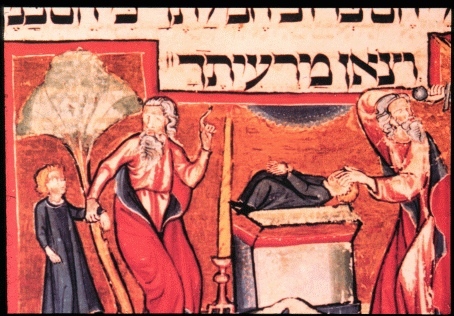 Further, early minority Rabbinic opinion suggests that Abraham actually did successfully sacrifice Isaac (although this contradicts the Biblical account) and that Hashem subsequently resurrected Isaac. Of course, even if this occurred, the resurrection of Isaac wouldn’t be the same as Rav Yeshua’s since Isaac died in old age while Yeshua, once resurrected, will never die again. If he could, then our own promised resurrection would be questionable and even in vain, since our lives would not be eternal. But Isaac, in this interpretation, is meant to “point” to Rav Yeshua, not be identical to him. He’s a signpost along the way and the goal is Messiah. Some of those who were with us went to the tomb and found it just exactly as the women also had said; but Him they did not see.” And He said to them, “O foolish men and slow of heart to believe in all that the prophets have spoken! Was it not necessary for the Christ to suffer these things and to enter into His glory?” Then beginning with Moses and with all the prophets, He explained to them the things concerning Himself in all the Scriptures. These verses are quoted in “6: The Resurrection,” and in reading them, I’ve always wondered exactly what Yeshua said to these men from the scriptures that convinced them Moses and the Prophets really spoke of him being resurrected? Certainly Judaism of today doesn’t interpret Moses or the Prophets in this manner, and I’ve never been convinced that Christianity has been very successful in this area either. I’ve never found a “smoking gun” pointing directly from the Prophets to Yeshua. This sixth paper quotes from Psalm 16:9-11, Hosea 6:1-3, and other scriptures (see the paper for details) as compelling evidence for the resurrection of Yeshua, and I don’t necessarily doubt that, but again, does that make Rosh Ha-Hodashim more relevant somehow? It is appropriate for Yeshua’s disciples to celebrate His Resurrection either on Nisan 17, in memory of that singular event; or on Nisan 16, the day designated for the Barley First-Fruits offering. The offering itself was suspended after the Temple’s destruction, with no substitute customs ordained by the rabbinic community. All halachic discussion over the generations has focused on who should avoid eating newly sprouted grain before Nisan 16 every year. Therefore, Yeshua’s followers have an open area on which to build a distinctly Messianic custom to celebrate the connection of His Resurrection with the Barley First-Fruits offering. I’ve skipped from quoting portions of the paper providing more details about the festival of first fruits and the Omer for the sake of length, but again, these papers are freely available online for you to read and download. Am I convinced? I don’t know. As a non-Jewish disciple of Rav Yeshua, I’ve chosen to back away from celebrating most of the moadim or “appointed times,” since the vast majority of them have exclusive significance to Israel and the Jewish people. The most notable exceptions are Passover and Sukkot (Festival of Booths). I have a Passover seder in my home every year, largely because I have a Jewish wife and children. Passover is a little more questionable, even though many “Messianic Gentiles” and Hebrew Roots Christians, as well as more normative Christian churches hold some variation of a seder seeing “Jesus in the Passover”. It’s possible that there has been an overlooked significance in Rosh Ha-Hodashim, and that in the Messianic future, we will all be rejoicing the “new year for the King” on Nissan 1. 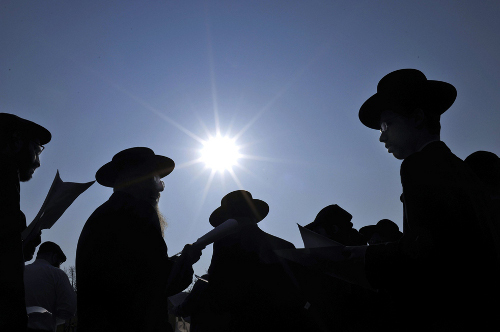 By the way, the first of Nissan or Rosh Chodesh Nissan occurs this year on April 9th, which is also Shabbat. 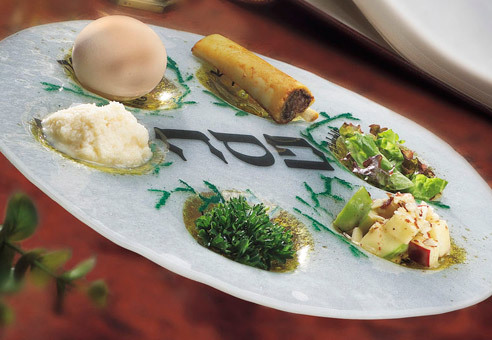 Erev Pesach or the first evening of the Passover is on Nissan 14, which is Friday, April 22nd this year. If any of this is interesting or even compelling to you, use the link I provided above, download the seven (eight, actually) papers and decide of some sort of observance or commemoration is appropriate for you. If nothing else, like me, you’ll learn something new. The Akedah does not jump out of the Scriptures to me as a rehearsal for the Crucifixion of Yeshua to me as the death of Isaac was prevented by the Angel of G-d…who one presumes, might have been Yeshua in a pre-incarnate state. As for stories in the Mishnah written after Yeshua was Crucified, and Resurrected, claiming that first honors go to Isaac trouble me. In reading Scripture, we see that nothing was done to Isaac, nor was anything written by Moses as to the Isaac pouring out his blood as a sacrifice…a ram had been provided by G-d. I often feel that much of the story telling in the Talmud is meant to get around the appalling suspicion of many Rabbi’s that they had missed the coming of the Messiah, and was often written to assuage their own fears of understanding that to be so. Judaism and Christianity both developed after Ad 70 in opposition to each other, as well as in opposition to Nazarene Judaism…the Judaism we are all seeking to find…a more wholesome following of the Scriptures, without traditions of men being added, and added, and added to separate Jews from Christians…and both religions have part of the heart of Nazarene Judaism. We who are Talmidei Yeshua should want to copy the Judaism of Yeshua…to the extent that we can, since we have to throw out so much of Rabbinical Judaism and Orthodox Christianity, trying to get to the heart of what was the Judaism that Yeshua practiced, demonstrated in his ministry, and that Yeshua ordered his Apostles to make disciples of. Yet are we not to copy what Yeshua did, and copy Yeshua’s ways? We Talmid Yeshua tend to skip the Moedim of YHVH because we don’t live in a Jewish context, and do not know what to do, nor how much we should take of what is known now in Judaism, and practice it. My leading from the Ruach was simple…”You might want to consider keeping the Sabbaths.” So I do. All the Moedim are Sabbaths…not necessarily on a seventh day of the week, but always Sabbaths. And in Isaiah, the foreigners that take hold of the Covenant, and keep the Sabbaths, from polluting them, are highly regarded by YHVH, so with the suggestion from the Ruach about Sabbaths, and the word in Isaiah of the same lead me to believe that G-d values His Sabbaths very greatly, and we avoid them in peril of losing, not our salvation, but our reward in the Kingdom to come, of being thought sons and daughters of G-d, as opposed to servants. As for the keeping of the 1st day of the month as a Sabbath…it is only done currently in the 1st day of the 7th month, leading up to the Feast of Tabernacles…at least that I could find, doing a word search on the first day of the month, and reading every reference in 4 translations. Yet the Sacred Calendar begins in Nisan, and the Moedim follow in order, describing all things that are prophesying Yeshua, and his connection to the 7 Moedim, so to me the head of the year starts as G-d ordered, and then with the Passover, we begin the descriptions of his life and importance feast by feast. I don’t think we have to add in references to Mashiach in any of the feasts…these feasts tell us what Yeshua has done, and will do already. And Rosh haChodashim is perhaps not taken much notice of as the real New Year according to G-d by Orthodox Rabbinical Jews, but then, why would they want the Passover, and the Lamb of G-d to be more important than the Days of Awe, and Yom Kippur? So, is the author suggesting that modern Rabbinic Judaism has somehow missed the boat? The rabbinic sources cited are no earlier than 200 years after Jesus; many are medieval or later. This obsession with reading Jesus into every element of Jewish texts gets out of control sometimes. It seems to be confirmation bias. @Questor: Actually, both Judaism and Christianity recognize various “Messianic” figures in the Tanakh, including Isaac. Joseph is also thought of as a Messianic figure due to his saving the world from famine. David is also an obvious Messianic figure (but I must say, I’m not a big fan of the idea of a “pre-incarnate Jesus”). I don’t have a problem with God leaving various “sign posts” along Biblical history giving us hints at what’s to come in his overarching plan of redemption. Also, I believe the Restorers author was trying to communicate what may have been understood about scripture by Jews during the days when Yeshua walked on earth isn’t always what we understand about scripture today. That’s why Biblical exegesis is as much a study of history, culture, and context, as it is about language. While many Christians distrust the works of the Talmudic sages because they are “man-made,” they forget that Christian interpretation of the Bible is just as “man-made”. The Jewish sages believe they are correctly interpreting scripture, just as do the Christian Biblical authorities. Maybe none of them/us have gotten everything exactly “right” all the time. However, I think it’s important to examine information like this to see if there’s anything to it (as far as we can determine). It’s possible the long-neglected moadim of Rosh Ha-Hodashim may carry more meaning than we’ve been led to believe. We won’t know unless we take a look. @Steve: Unless I’m terribly mistaken (and I apologize if I am), Restorers are less concerned with Rabbinic Judaism and more concerned with correctly interpreting scripture and relying on the Bible as the sole authority defining who God is and who we are. As I mentioned to Questor, Christianity especially see Jesus just about everywhere in the Bible. As I also mentioned, both Christianity and Judaism sees Messianic-type figures occurring at different times in Biblical history. I agree that Jesus doesn’t just pop up everywhere in the Bible and that most or all Biblical events stand on their own merit without always being about Christ, but again, there are certain “sign posts” God has left for us that, once we’ve advanced sufficiently in history and look back at them, seem to indicate something of what God has up His (metaphorical) sleeve. This might sound picky, but saying the Passover lamb was sacrificed at twilight is mistaken. It was in the afternoon. And I think of twilight as more like sunset. I looked it up, and, although I had been thinking it was just before sunset, it’s just after. So that doesn’t work. Apparently, some people think of twilight as more just before sunrise. For clarity, twilight isn’t a great word. I will mention, too, that a well known Jewish course of study called Melton points out (among many other things as it’s a two-year endeavor with four volumes) that there are four different new years per year in the Bible. I’d have to find my books to see if there’s much more. The main teacher and congregational leader at my beloved Messianic congregation definitely compared Isaac to the Messiah, but also to us –that we each deserve to die. He also said if you deserve to have your throat cut, it’s no big thing (or something to which any Jew should object) that baby boys should be circumcised. It’s a sign of being delivered. He recalled this story at the traditional time. (Even if he ever shared the concept that it might have fit with the time of Passover, he would not have changed the method of memorial.) That congregation did start regularly actively recognizing the new moons, though. Those times were generally smaller affairs it seems (I visited when it happened to be time for one once). 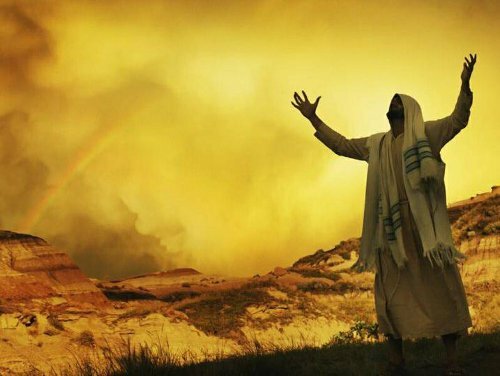 The possibility that the day for choosing the Passover lamb, the tenth as well as the sense that it was the day Yeshua was welcomed into Jerusalem, could be observed by Messianics can stand alone (aside from the postulated connection to the Akeda). So can the recognition of Rosh Ha-Hodashim stand apart — from both. I like the idea of recognizing the first month and the tenth* day in some way. I would leave the Akeda out of it pretty much (although any story can be told at any time). * I am most comfortable with recognizing the tenth as well as the last meal (for common understanding, Palm Sunday and the last supper), even if not exactly on the perfect dates, before the actual Jewish Passover date. So, like if someone wanted to do Sunday and then Tuesday or Wednesday or Thursday. It’s good to commemorate without stepping all over Jewish definitions and traditions. As PL indicated elsewhere, theres nothing to prevent Jews from participating in acknowledgments that aren’t precise as long as they don’t purport to replace proper observance and don’t conflict with actual observance that Jewish property on from year to year. The actual first of the year, or First of the Months, obviously only happens at a specific time. It’s good to observe. Let me make another try at my second to last paragraph. … indicated elsewhere, there is nothing to prevent Jews from participating in acknowledgments that aren’t precise as long as they don’t purport to replace proper observance and don’t conflict with actual observance that Jewish people properly carry on from year to year. There is a saying that if every single Jew were to observe Shabbat all on one Sabbath, the Messiah would come. What if everyone celebrated Rosh HaHodashim?